'Tis the engagement season! If you are not up for the planning of a big wedding bash, head to a stunning location for an intimate affair for just the two of you. 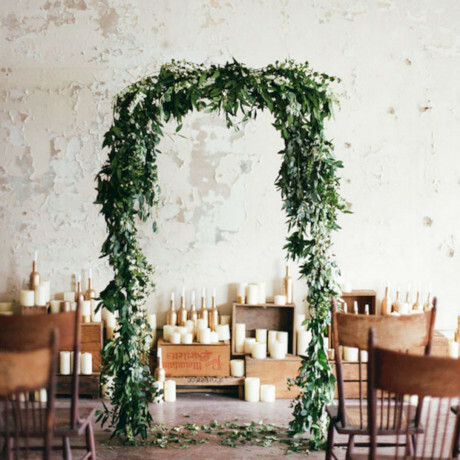 Here are 32 jaw dropping elopement ideas that proves less is more. 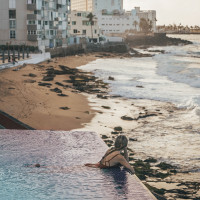 Drop the planning and head to these spectacular spots that are 'elopement only' zones with the one who matters most to you. The turquoise blue mixed with emerald makes this lake look like a painting. 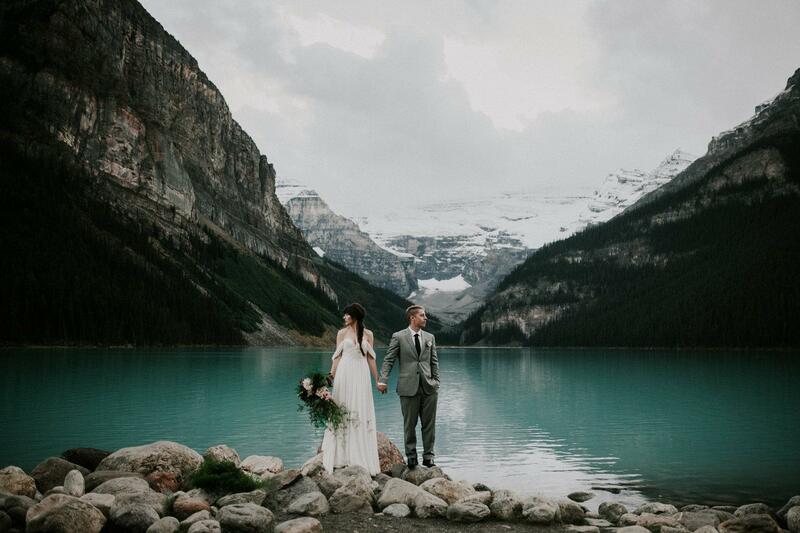 To make matters even prettier, this glacial lake is set within Banff National Park, so the snow-capped mountains in the backdrop of the lake will elevate your photos to soaring heights. 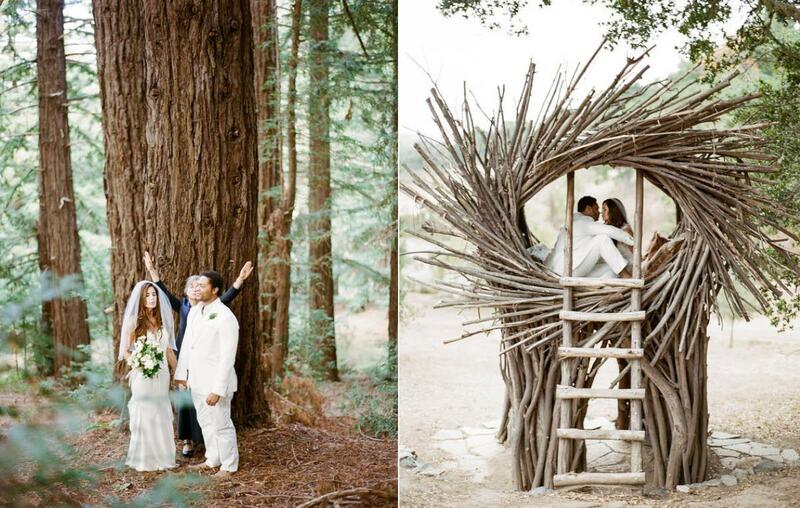 The best part is that after you say 'I do,' you can embark on adventurous activities with your new beau. Go cross-country skiing, snowboarding, ice fishing, snowmobiling, hiking and ice climbing. 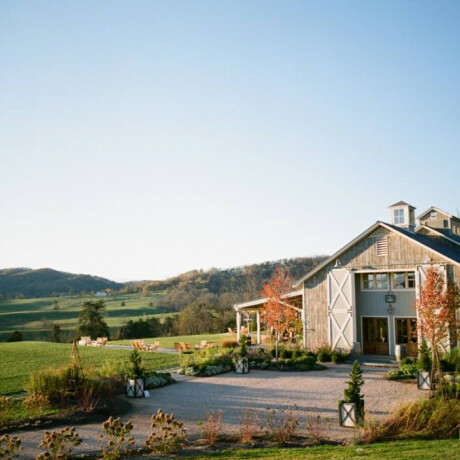 Why We Love This Spot: No need to borrow a 'something blue' from grandma if you elope here! 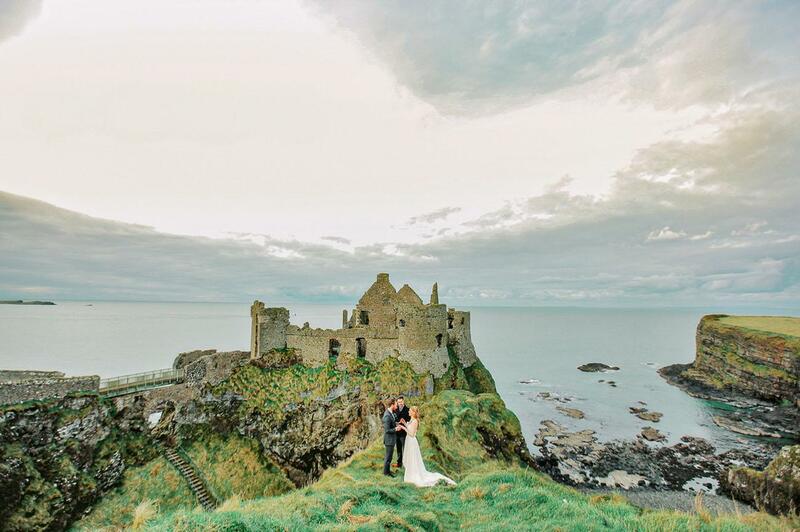 Elope to the craggy coastlines and iconic ruins of the historic Dunluce Castle in Ireland. Who wouldn't want to start their life off together with the ol' luck of the Irish? 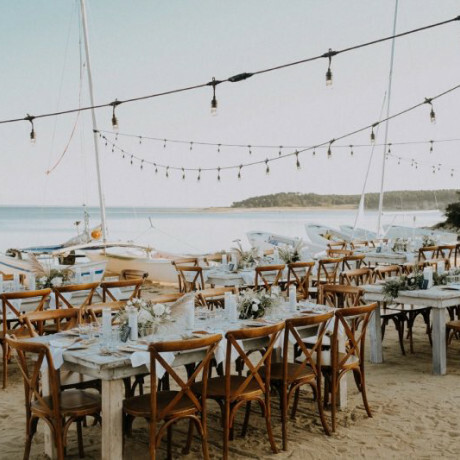 You and your lucky charm will get married in front of a true fairytale crumbling castle flanked by shocking green grass and endless sea views. 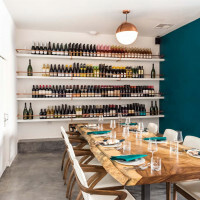 Why We Love This Spot: This setting rivals your favorite rom-coms! 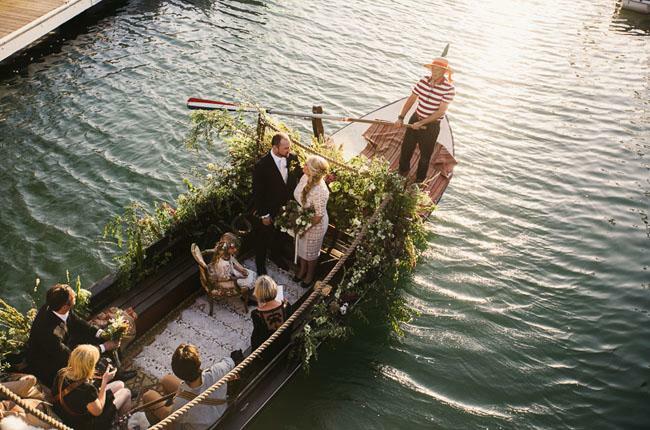 Why We Love This Spot: The idea of eloping to a place you have never been before is true romanticism. "Just us. Just quiet. We just want us. Us and the yellow leaves of the Aspens." 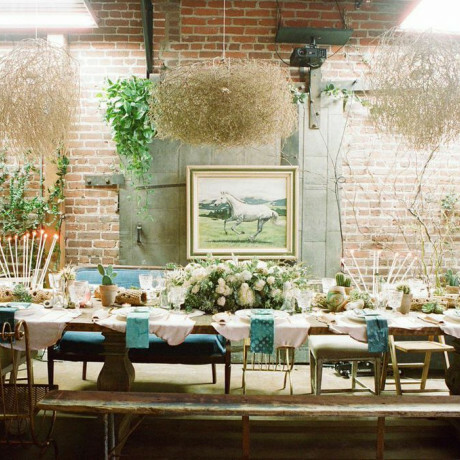 That was the kind of wedding that Mekel and Chris wanted to have in Sundance Utah. 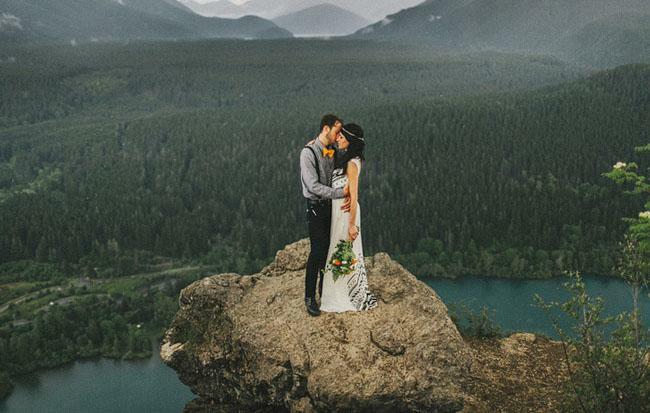 The couple drove up a mountain, parked and hiked a mile in with their photographer Kristen Marie Parker, until they found the spot that was so perfectly them. 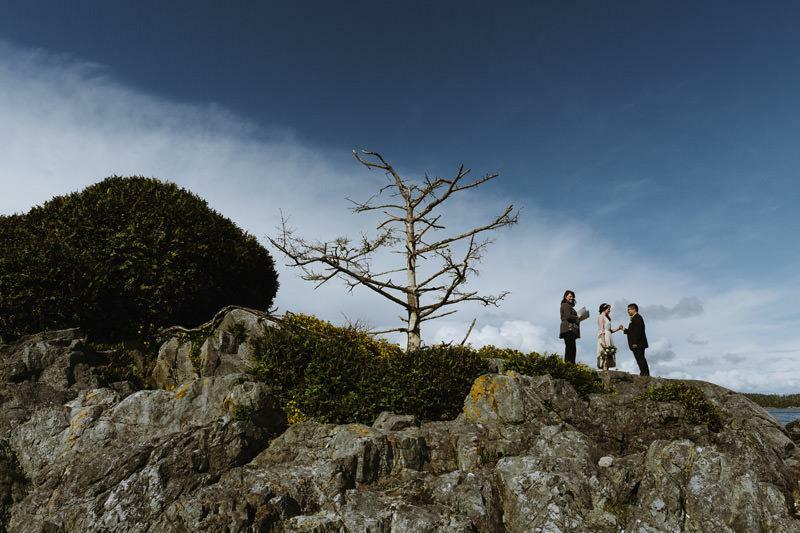 Why We Love This Spot: The impromptu hike, the extra effort it took to make the moment theirs is what eloping is all about. 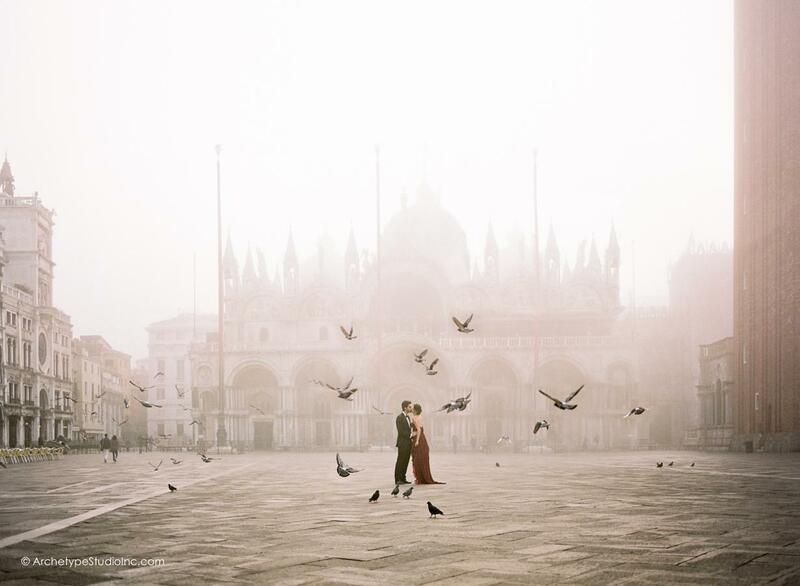 Why We Love This Spot: Venice oozes romance, you can't pick a bad location. 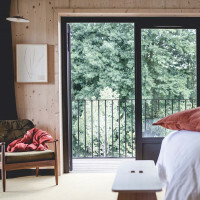 Why We Love This Spot: A treehouse amongst the Redwoods is other worldly. 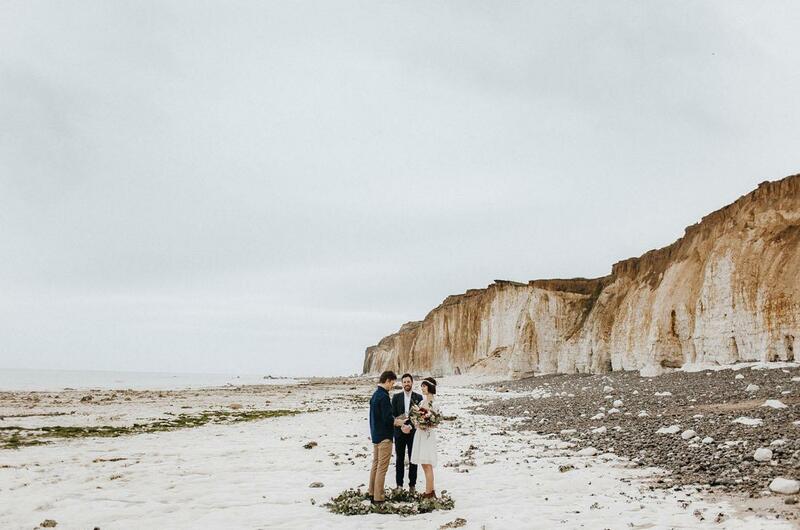 In Normandy on the side of Varengeville Sur Mer, a forestry and farming commune, this sweet couple got married accompanied by their dog with a simple, intimate, flowery and emotional vow exchange. 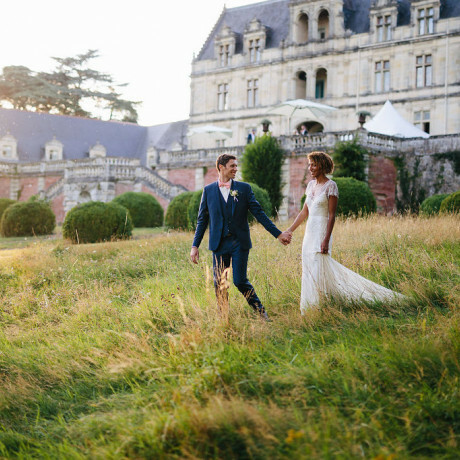 Why We Love This Spot: In addition to the obvious cool factor of getting married on a desolate beach in France (hello, romantic), this area is chock full of history. After you exchange your loving vows, make sure to go sight seeing together! 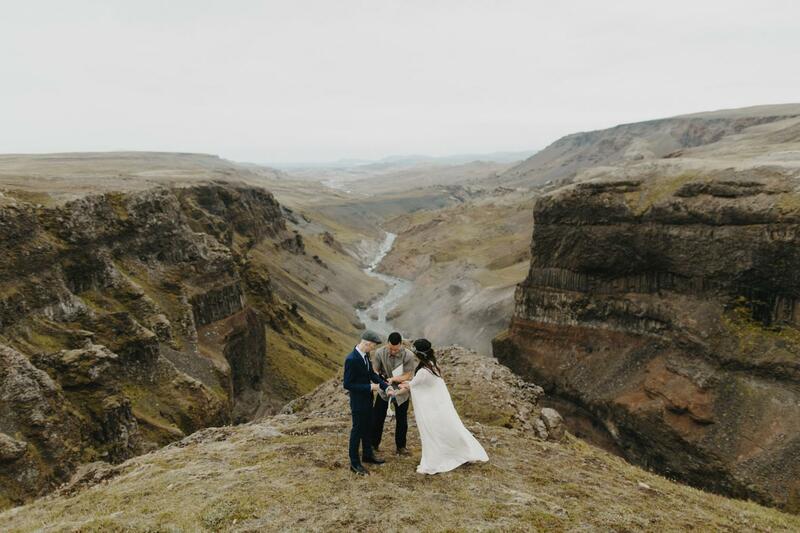 "We fell in love with Iceland for its romantic melancholy scenery – and its neutrality: with our families being spread all over the world (in China, Germany and the UK) it was impossible to include everybody, so a private wedding followed by receptions seemed the fairest way. 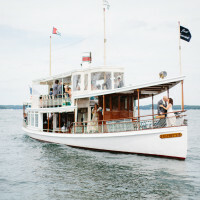 Plus, this way we got to follow the wedding with the honeymoon right away! 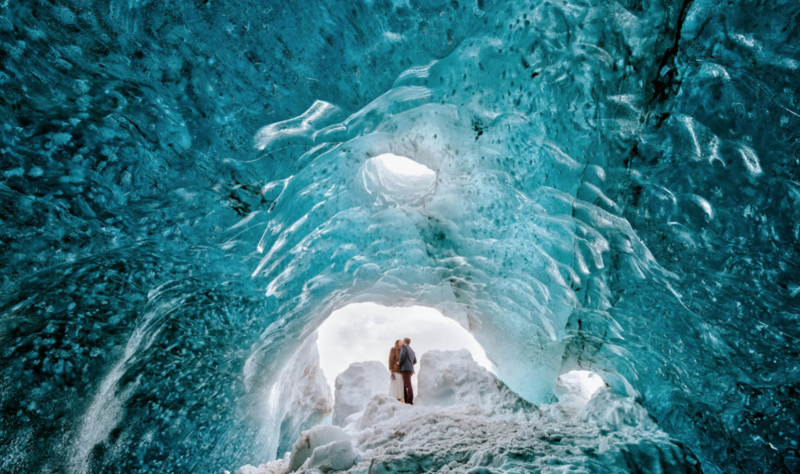 Iceland turned out to be the perfect destination – so much more breathtaking in person." - The bride & groom. 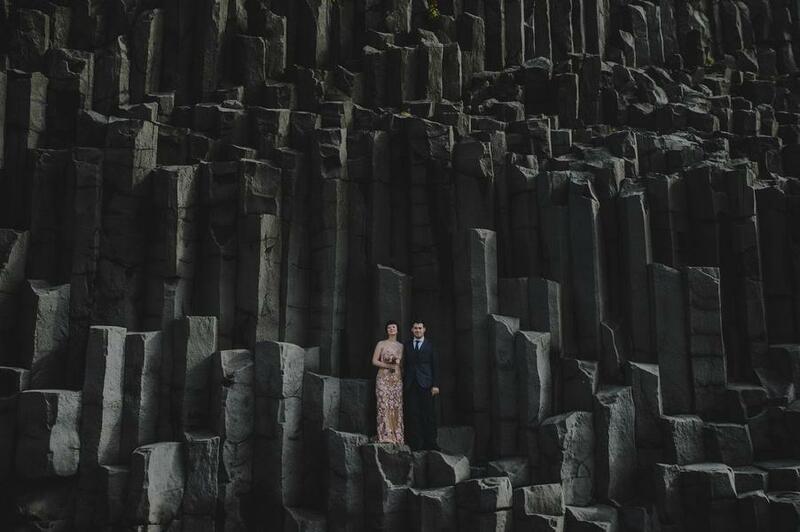 Why We Love This Spot: The dark, geometric rocks give off a dramatic cinematic vibe. 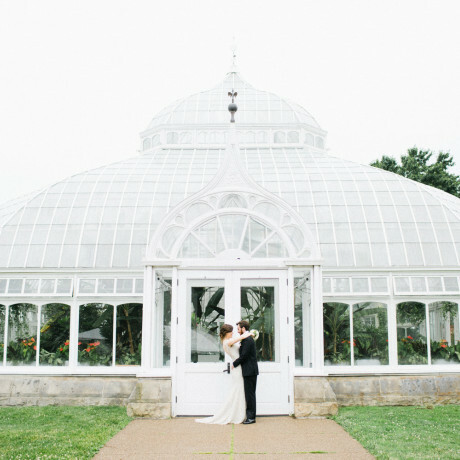 So stunningly serene and perfect for a couple in search of a more moody setting. "The day flowed melodiously. Fog rolled in, tears were cried, good food was shared, rain fell, porpoises came up for air, a sundog presented itself and the fog came back over the water to put the day to sleep." - Photographer, Kristen Marie Parker. 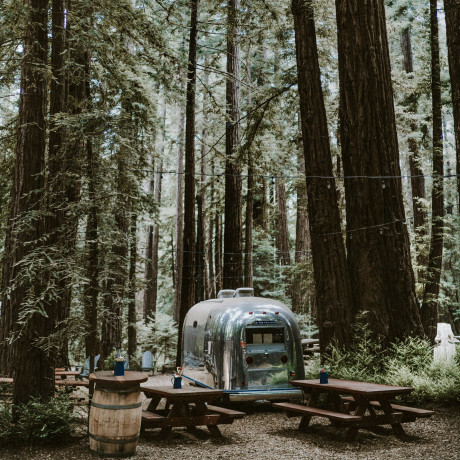 Why We Love This Spot: The stunning shores of Orcas Islands 57 square miles are filled with fields, old barns, beautiful parks, hiking trails and marine life. 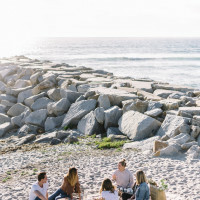 The adventure filled island is a spectacular experience for whale watching, kayaking and the outdoorsy couple who wants to start their life together in a nature-filled setting. 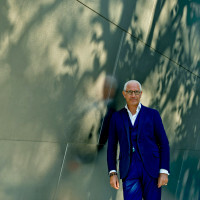 "Laura and Nick have quickly become great friends of mine. Both are incredibly genuine and couldn’t be more passionate about life and people. 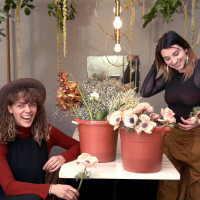 Being from California, but currently residing in the Northwest, they decided to embrace their love for the outdoors and each other by eloping in the Cascade Mountains just east of Seattle." 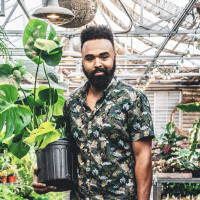 - Photographer, Benji Haisch. 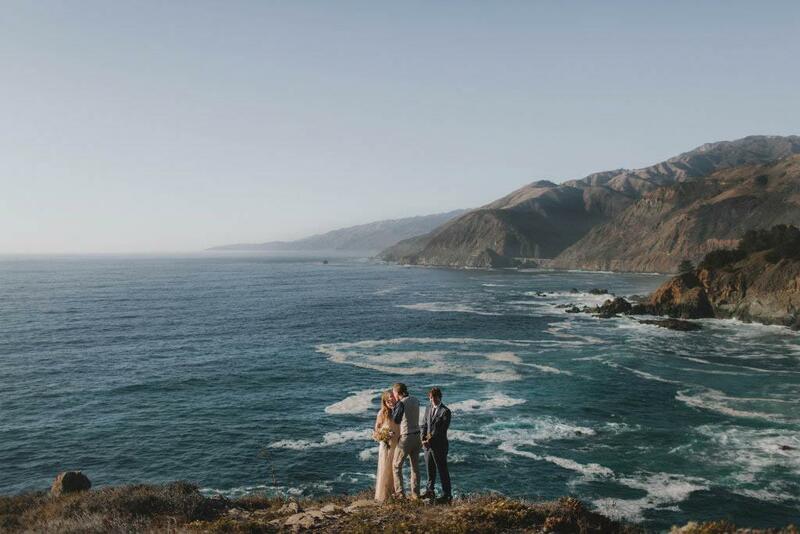 Why We Love This Spot: The sheer cliffs provide the most breathtaking photos as you look at the endless views while wondering about the safety of the couple at the same time. "It was as though the rain was a gift from the Lake. 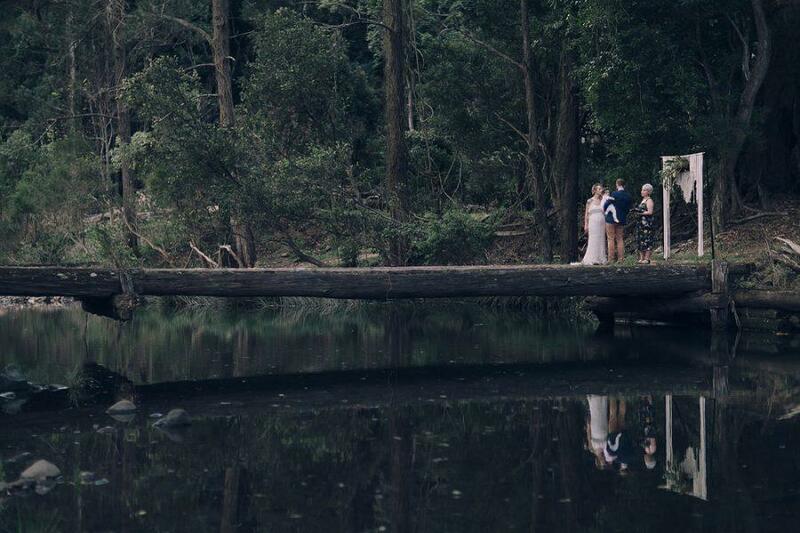 It was so special, a goosebumps moment for sure!” - Lisa, bride. 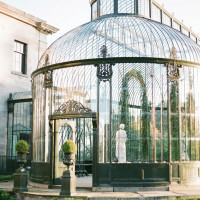 Why We Love This Spot: First of all, we ADORE a rainy day wedding. Rainy day vibes aside, Brown Lake on Stradbroke Island in Queensland, Australia – a place that has been visited by the native Quandamooka people for thousands of years for it's healing properties and their connection to this land, sea and country is still as strong today. 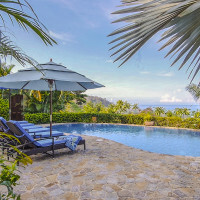 Whale watching, dolphins leaping, you never know what type of marine life you will find here. "Our ceremony. 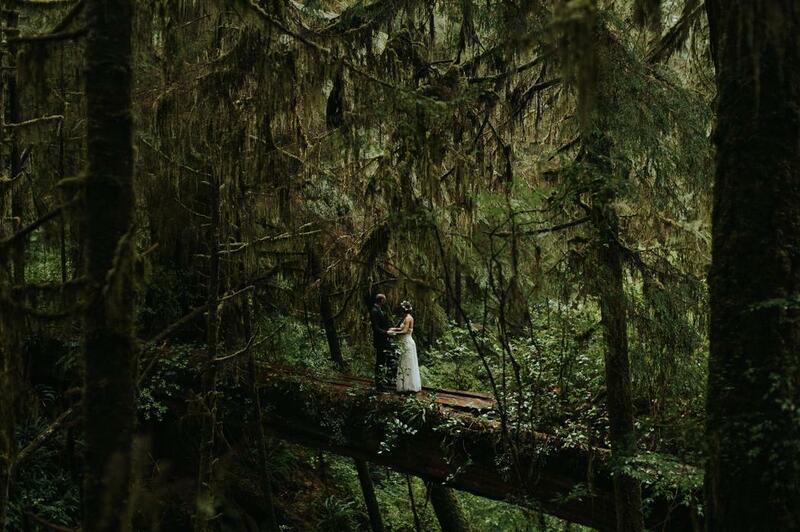 We were married during a rainstorm, in the middle of an ancient redwood rainforest. The rain during the ceremony was particularly torrential. 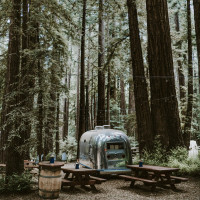 Visually it was incredible: the trees filtered the rain and softened it somewhat, the flora looked particularly lush and vivid, the redwoods were glowing, and rush of water drowned out our vows so that they were only for us." - Bride and groom. 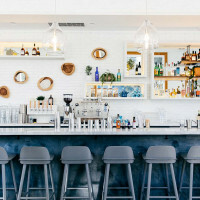 Why We Love This Spot: This area is the perfect mix of rainforest-meets-nautical-stormy-beach, pretty much an amazing combo. Plus you and yours can stay at the luxurious Wickaninnish Inn and host a storm watching reception at their waterfront restaurant. 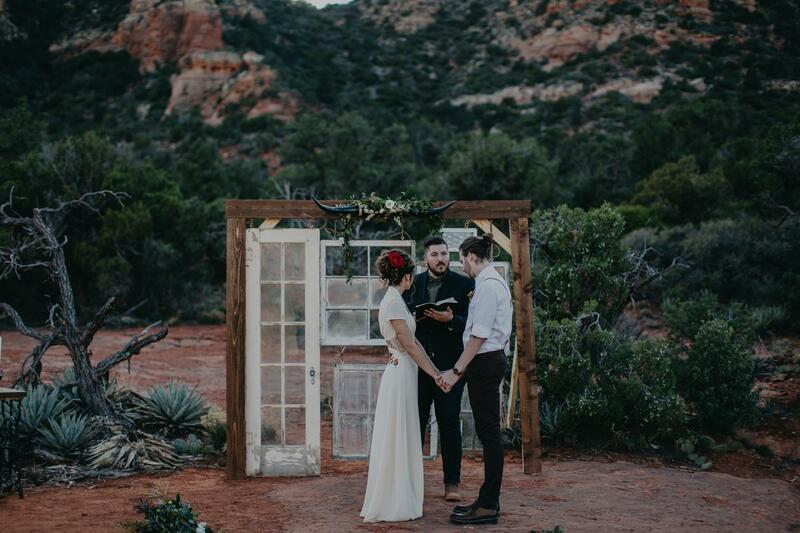 "My vision was to have a stress free, simple ceremony with just the three of us that was intimate and in a meaningful location. The best part is our wedding was all of those things and we had so much fun together. Tyler and I have been together for nine years and have a five year old daughter Rozalyn. She might have been the most excited about the wedding and kept it a secret from everyone." - Bride. 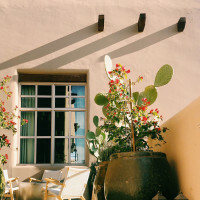 Why We Love This Spot: If you live in the Western United States and want to have an elopement with a European feel, this is the spot for you. Add in the gondola and it makes for a perfectly comfy ride for the kiddos to have a really unique experience. "With the ceremony at Thorncrown followed by intimate portraits at the Crescent, everything about this elopement made my heart sing! 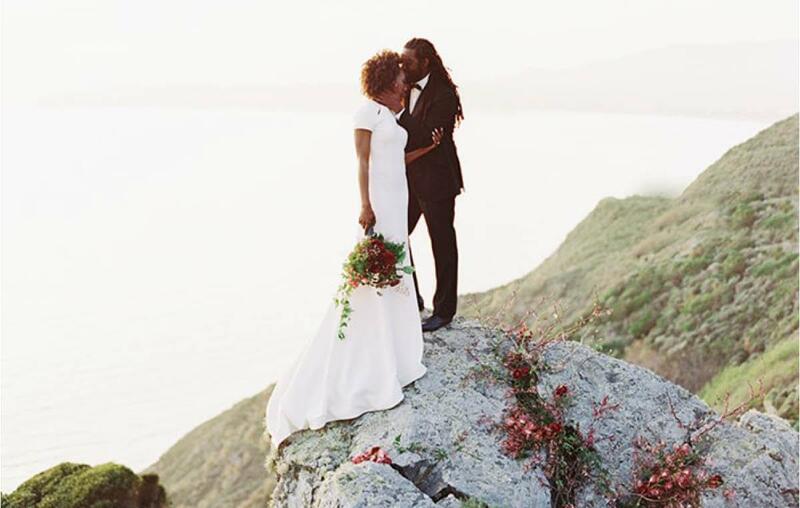 Take a look at the most perfect elopement and feel free to show them some love!" - Photographer, Leah Marie Landers. 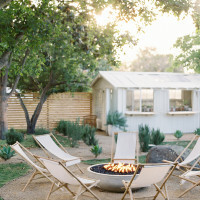 Why We Love This Spot: Elopements are often associated with choosing an impromptu and scenic spot in nature. 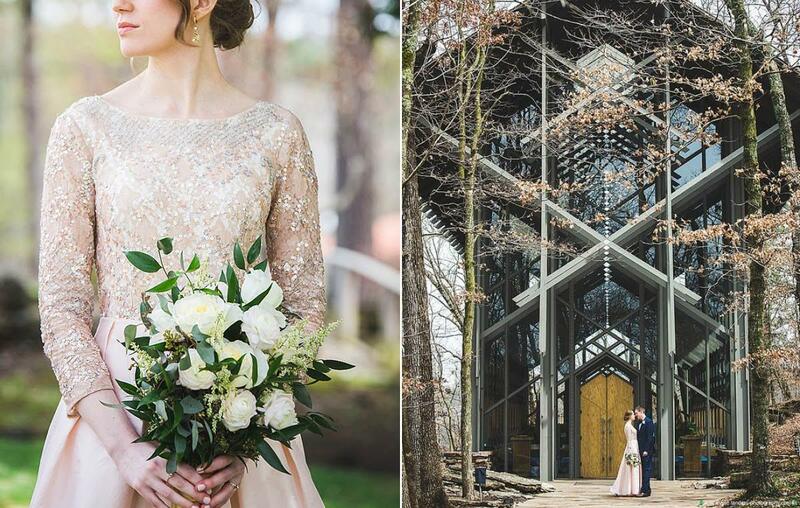 We love that this little chapel in the woods 'marries' nature with the tradition of a chapel. "On paper this is an elopement on Kauai, a sunrise ceremony at the beach where Laura and David got engaged. But if you listen and look further, you will also see this is a story about David’s parents coming back to the island they decided to bring him up on for the first time in 25 years. It’s a story of family" - Photographer, Jonas Peterson. 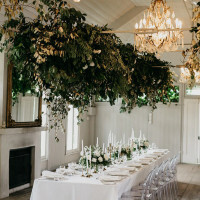 Why We Love This Spot: The warm weather, greenery and abundance of waterfalls makes this the perfect destination for couples to elope and bring a few friends and family along. 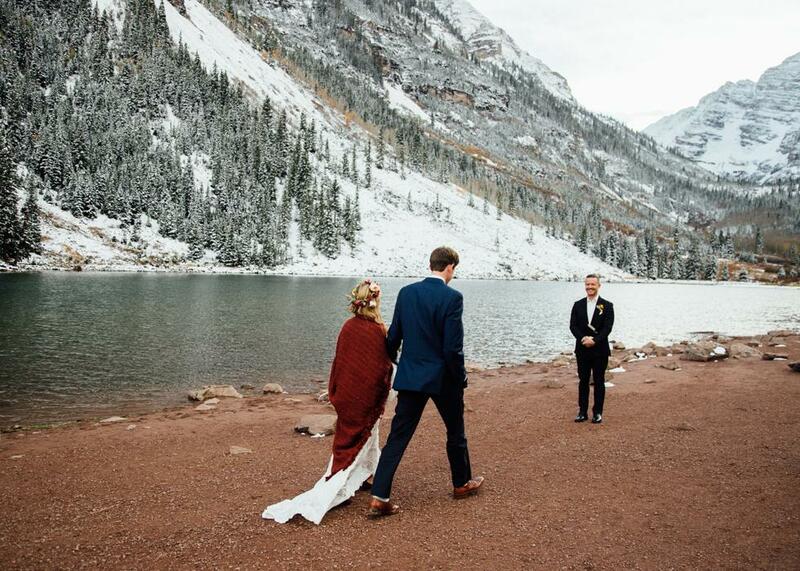 Natalie and Lincoln blindly chose Maroon Bells as their wedding location based on the photos they had seen online. 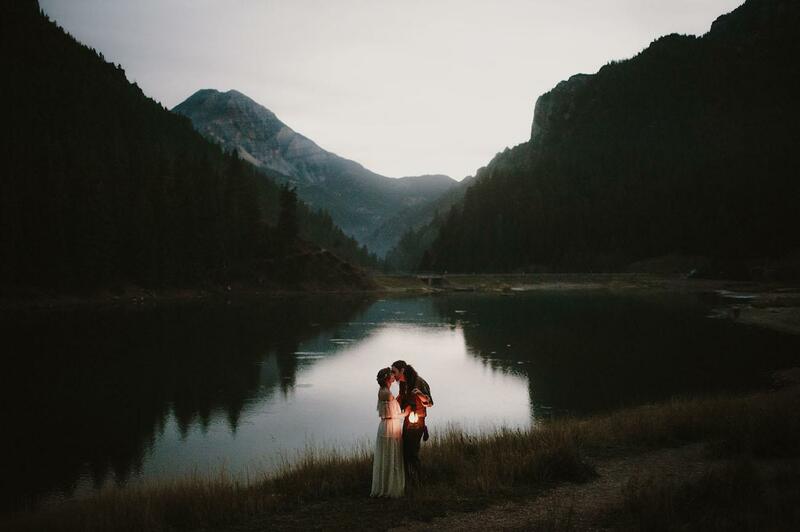 After planning a large traditional wedding, they halted all plans and eloped to this majestic lake instead. Why We Love This Spot: More than 300 million years of geologic activity is credited to the creation of Maroon Valley! The magical mountains have a dreamy maroon hue that surrounds Maroon Lake which occupies a basin sculpted by glaciers. MAGIC. "White Sands National Monument will forever hold a dear place in our hearts. The colors change every minute as the sun evolves and dives below the mountain range. It feels both so striking and so isolating. 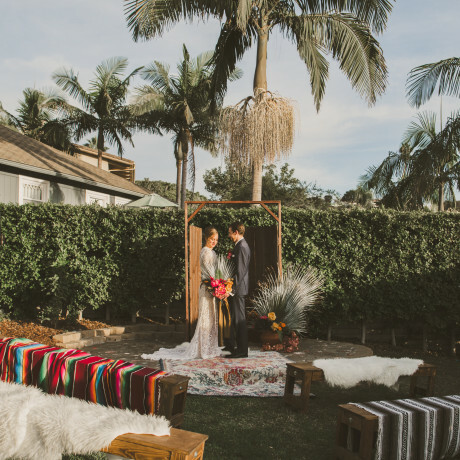 Malia and Derrik spent the moments after their ceremony alone with the sunset, hours from the nearest city. It was so beautiful to witness. 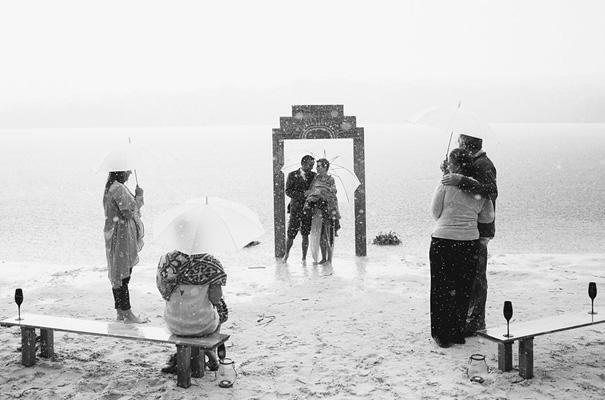 For those who are thinking of eloping, I can promise you it is no less grand of a ceremony. To start your marriage out on an adventure is quite possibly the most romantic metaphor you can have." - Photographers, The Colagrossis. 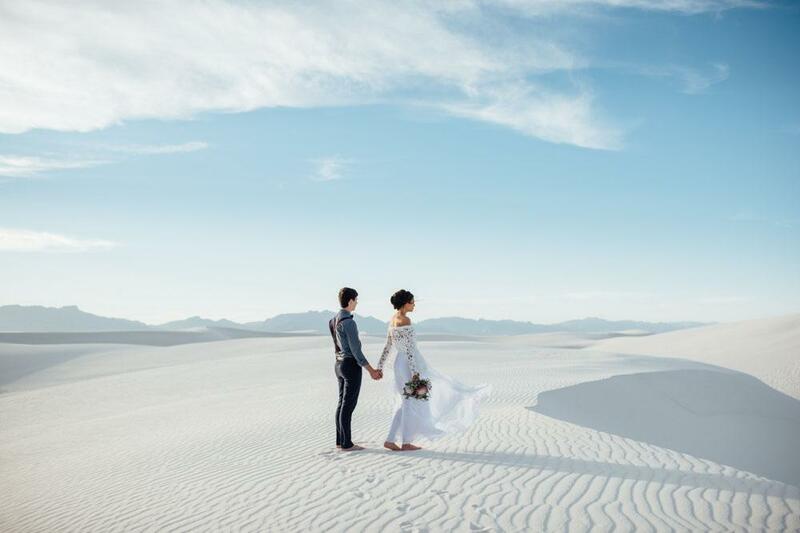 Why We Love This Spot: The endless white sugary dunes and blue skies make for the perfect breezy, barefoot nuptials. This spot makes for one of the most ethereal backdrops on the list, and will make any gown pop against its soft colors. 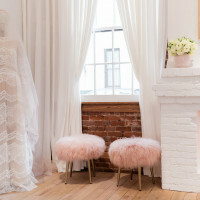 Why We Love This Spot: Taking the time to make an elopement perfectly unique to the couple is an intimate, once-in-a-lifetime experience that we can't get enough of. 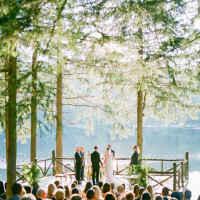 Plus, this forested backdrop adds to the personal, "just you and me" feeling. 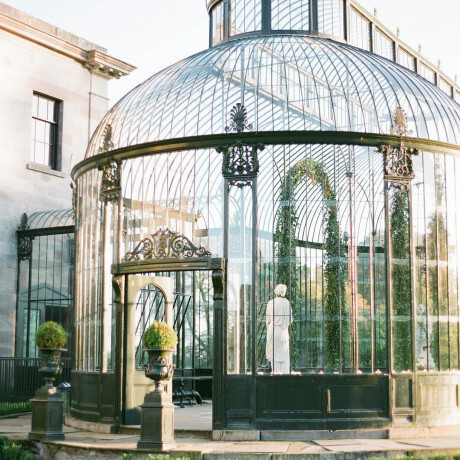 "Christina and Geoff’s Portland elopement encompassed everything I love about this area. This time of year is near the end of the “wet” season where all the plant life is wonderfully lush. The moss, oh my god the moss, is so vibrant with color and so thick it feels like walking on a sponge layered ground. The forecast called for 100% rain but what we got was one of the most magical days I’d experienced since living here. 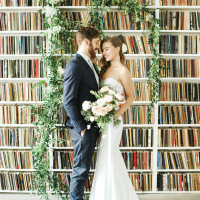 They had their ceremony in the ruins of an old stone house sweetly tucked away in the woods." 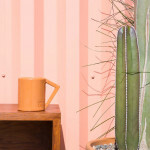 - Photographer, Phil Chester. 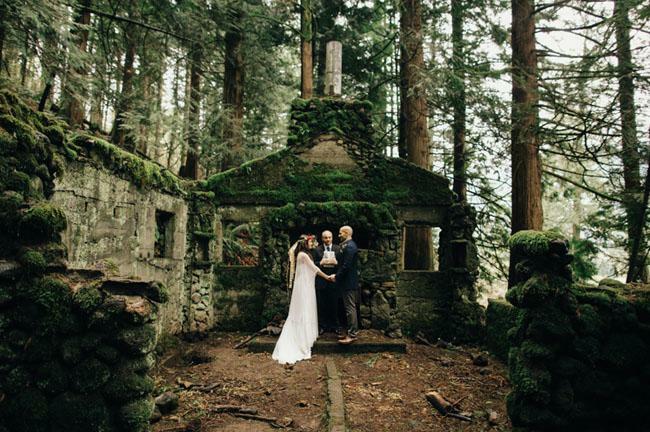 Why We Love This Spot: The couple stumbled upon this old crumbling stone house, how cool is that?! This backdrop feels like an outdoor chapel. "Oftentimes, I find that there is little more that a couple in love needs than just that. 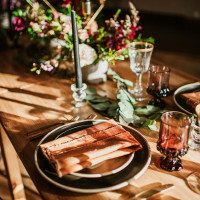 A couple that looks to elope is one that is typically focused on their love and their future and is less concerned with the logistical details of a wedding that can sometimes detract from that initial purpose." 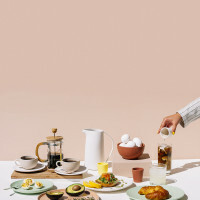 - Rebekah Carey of A & B Creative. 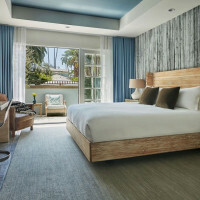 Why We Love This Spot: Barely 20 minutes from the Golden Gate Bridge, the hospitable Pelican Inn rests at Muir Beach in the sea-blown fog, among the pines and alders, the honeysuckle and jasmine - a lodging refuge between the ocean, Muir Woods and the Northern California National Recreational Area parks. 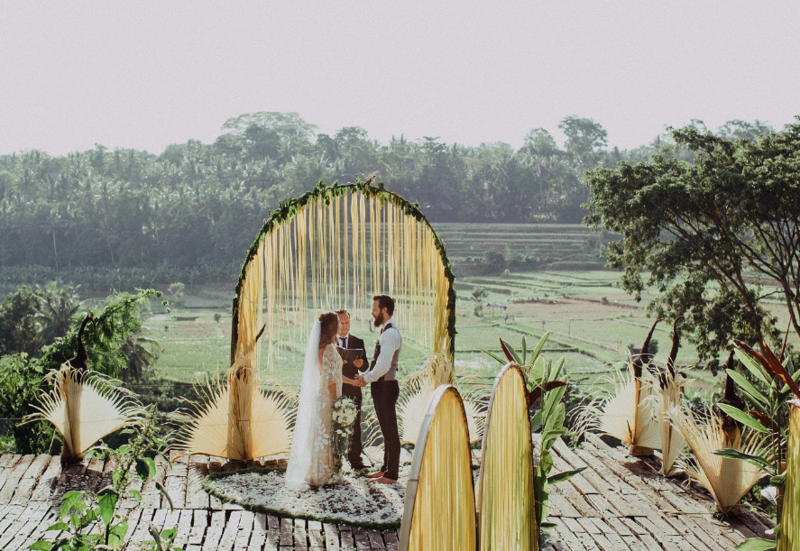 Codi and Ryan got married with the endless rice fields of Ubud as the backdrop. 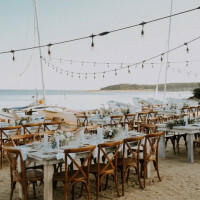 We can hardly imagine a more special way to tie the knot - surrounded not only by some of the most beautiful land in the world but a beautiful culture as well for a totally unqiue and meaningful day. Why We Love This Spot: The tones of gold and green strike the perfect chord of drama and seamlessness with nature. Bonus: Stay at the Four Seasons Resort Chiang Mai for an insta-honeymoon hot off your big day. When a photographer decides to get married herself, you know it's gonna be good. 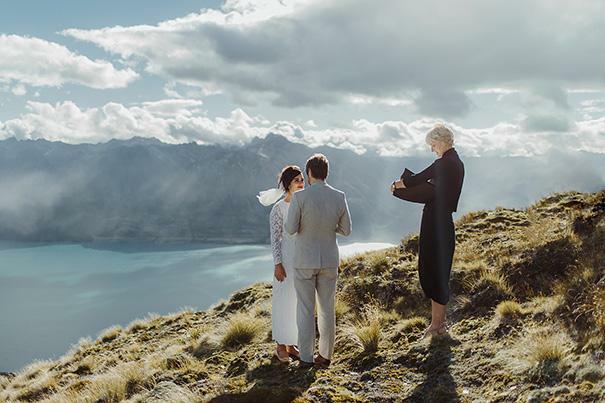 Photographer and bride Lilli of, I Got You Babe Weddings, planned an impromptu elopement on sunny and stunning mountainside spot in New Zealand. 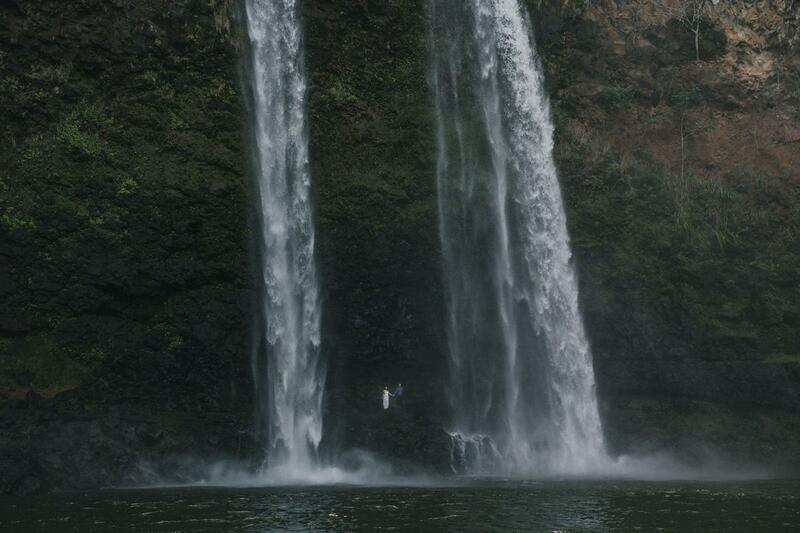 Even cooler, they hired a helicopter to take them to the utterly gorgeous and windblown spot. Why We Love This Spot: Mountaintops have soaring views and usually bring wind gusts with them. Dresses and veils look oh-so-magical blowing in a beautiful breeze. Plus, arriving by helicopter is a bucket list experience in itself. Cue the drama, Mike and Carizza said 'I do' in stunning Santorini with soaring volcanic views. If you used to the light filled, aqua blue waters of this Aegean spot, this misty and moody view of the rocky island is new and refreshing. 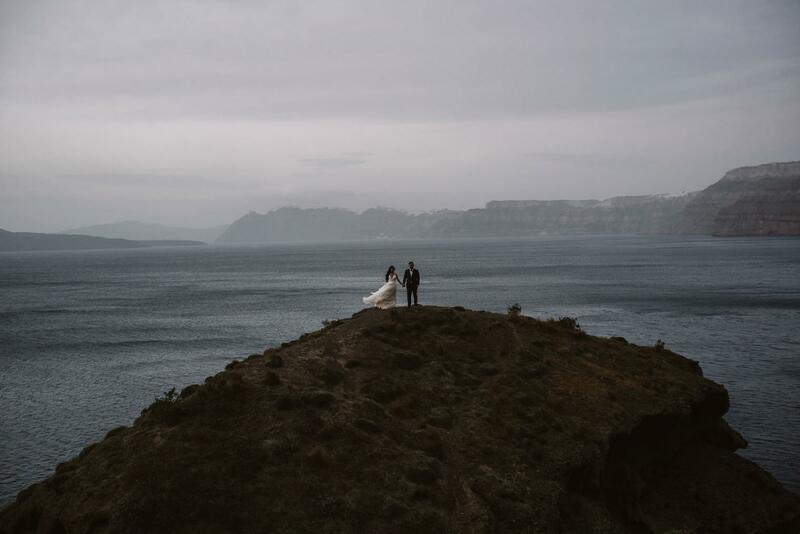 Why We Love This Spot: We love how the volcano and fog filled sky adds drama and weight to such a momentous day. Plus, Santorini on a not-so-sunny day? Please! 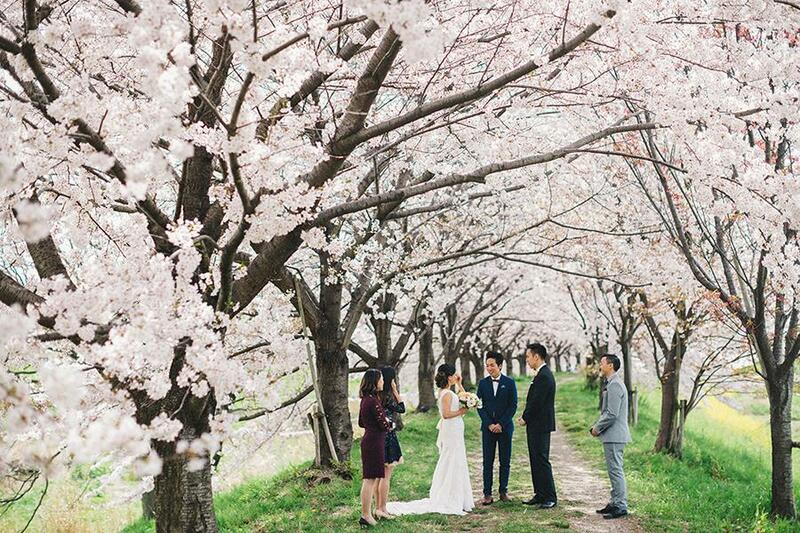 "Roy and Fanny exchanged their vows among the sakura blossoms; a heartwarming moment witnessed by their dearest friends. Such are the weddings we crave. 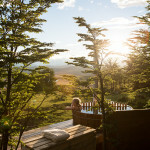 Small, intimate and surrounded by awe-inspiring nature, focusing on the love between two people. 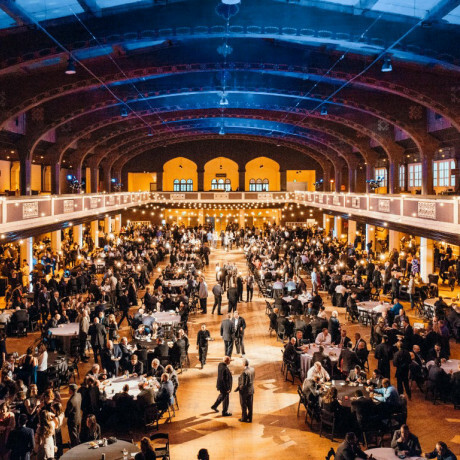 To be able to witness this connection is truly beautiful and nothing short of magical." - Photographers, The Synchronal Photography. 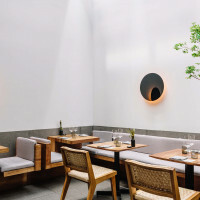 Why We Love This Spot: The cherry blossom signifies life, renewal, and brevity, which is magically meaningful as you commit yourself to another. Plus, the beauty of the the cherry tree orchard is something to behold. 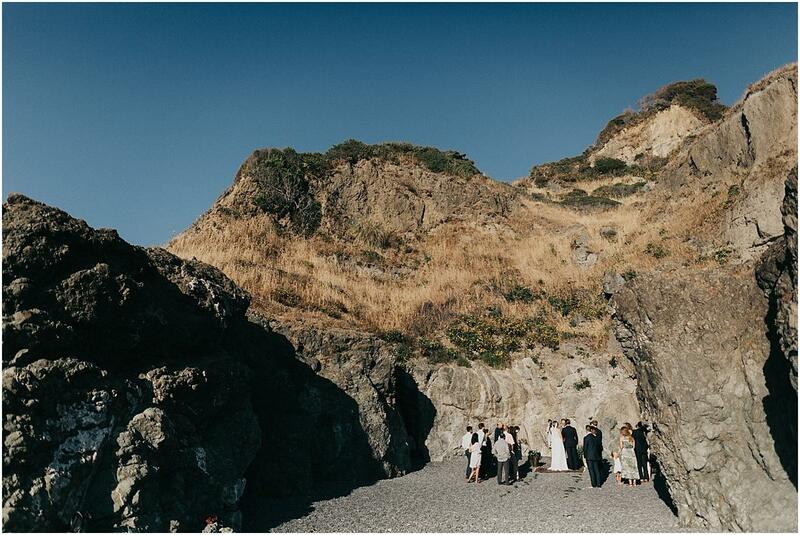 Why We Love This Spot: There is so something utterly perfect about finding a hollowed out beach cave to wrap around you and your guests as you exchange vows with only the tunes of the tides whispering in the background. 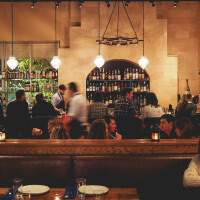 Why We Love This Spot: Perched on the red rocks of Mt. Hood, this colorful scene was decorated only by nature. The simplicity of just the couple against the rocks magnifies their bond and meaning of their day. Why We Love This Spot: This undiscovered and rocky island gives a private, romantic feel. 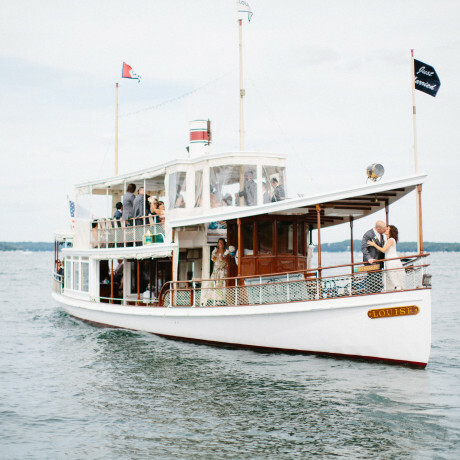 Only accessible by boat and timed with the waves, this elopement turned adventure was worth the work. Why We Love This Spot: Saying 'I do' on top of a glacier is about as #goals as it gets. With drama to spare, photos here are other worldly with rocky terrain, sheer cliffs and wild rivers, it's no wonder why this spot is special. 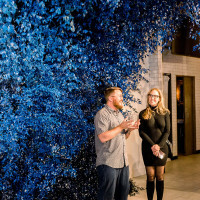 Emily and Steve traveled all the way from Wisconsin to find their perfect spot to the tie the knot at. 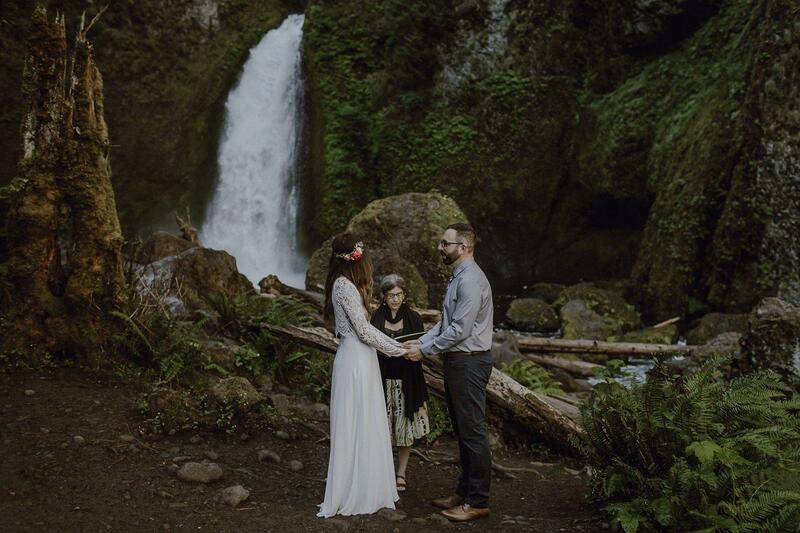 A sense of adventure brought them to these falls for an emotional, intimate elopement. Trekking to the base of the falls, their ceremony was high contrast and high drama. Why We Love This Spot: The lush moss and rushing waterfall look like they are straight out of a dream! 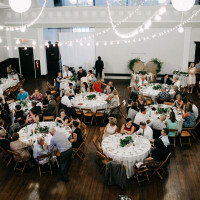 "Elicia Bryan captured the beauty of our wedding effortlessly. Each moment she shot was genuine and natural. We felt like our day was being artfully documented rather than staged. We had a blast working with her." - Bride & Groom. 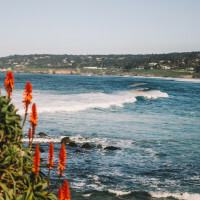 Why We Love This Spot: The beauty of the California coast is perfectly captured on a bright, sunny day. 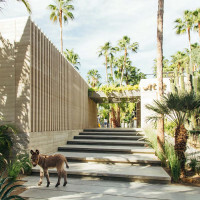 Why We Love This Spot: The lighting and landscape of the desert always looks like a picture perfect painting. 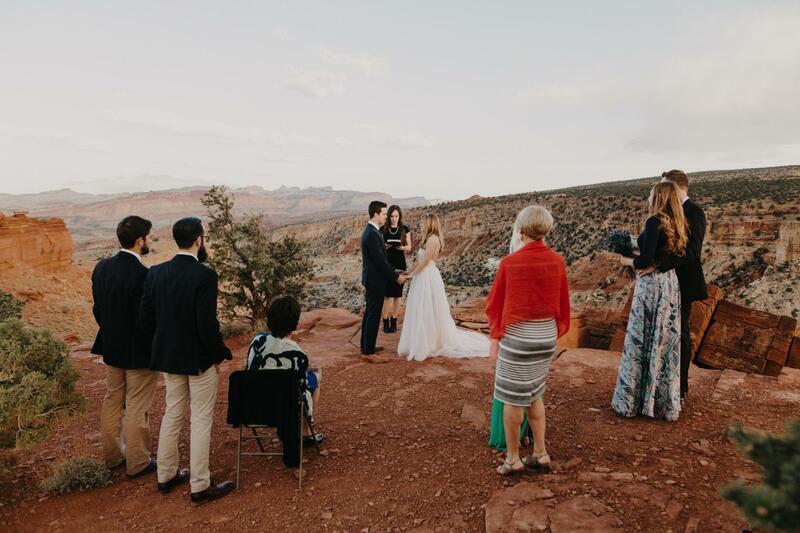 Why We Love This Spot: The couple was delivered by helicopter to their "I do" location and then brought back down to the lodge they were staying at. 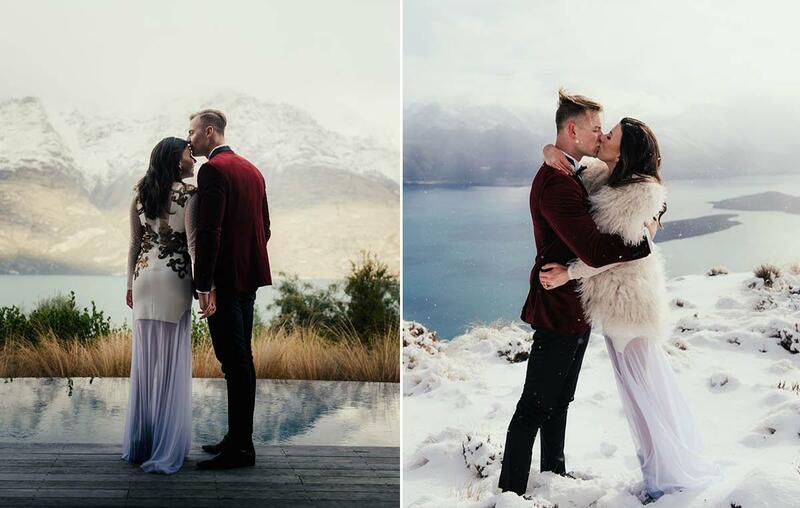 From grassy fields to a snowcapped mountain, these guys eloped in style.